Anyway I'm unsure if I can rack enough content so I'd like to discuss this stuff here before to see if there's anyone else that would like to help. 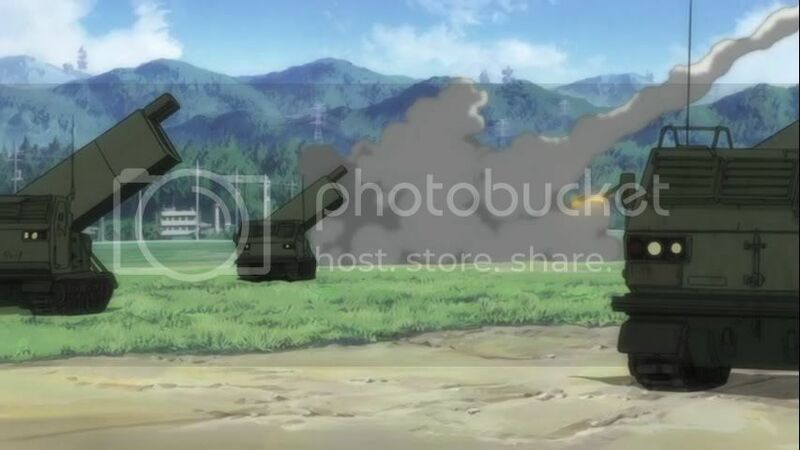 I'd especially need help in recognizing the helicopters shown in episode 7 (just when Misato and Ritsuko arrives to the test facility for the JA test) and the tanks but actually even a simple sighting of something that can look like a real world (not fictional) aircraft/vehicle is welcome. Notes: I'd say that the ones in the preview of Q is a Su-33 since it's the only naval Sukhoi aircraft but actually the cockpit is so huge and it has the same shape of the one of the Su-34 which isn't capable of operating from aircraft carriers (or at least I think that it doesn't have folding wings); a similar aircraft is between the ones that are accompanying the EVA-02 in 2.00. Notes: I'm not completely sure about this aircraft. Notes: Kensuke says that it's a Yak-38 Kai, I'm not completely positive but he could be referring to the improved M model; the Yak-38 has never been used by the Russian navy since it was left to rust together with the Kiev class aircraft carriers and it has been retired together with its carrier (the only surviving Kiev class is being refitted as a STOBAR carrier for the Indian navy and it will use Mig-29K). 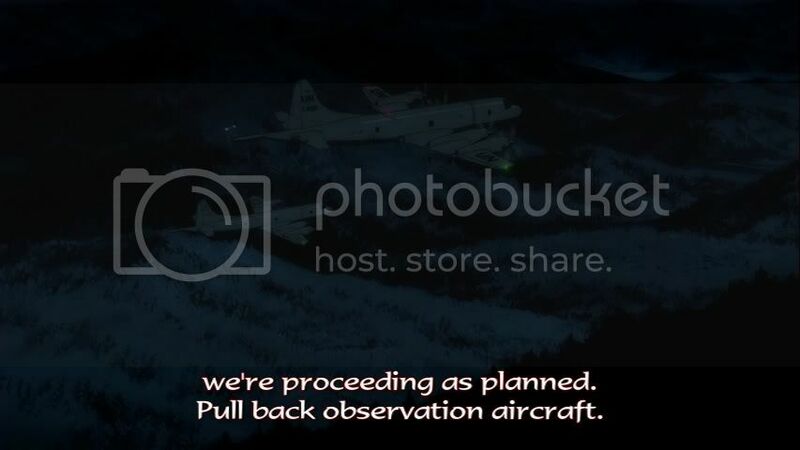 Notes: it's the aircraft used by Kaji to escape; actually I didn't know this aircraft but luckily it was listed in the Evangelion 2.0 Complete Works, it was a U.S.S.R project that has been stopped after the breakup of the Soviet Union but it has been recently restarted; the version in the movie is for Nerv use. Notes: This is actually an hybrid between a fixed and a rotatory wing aircraft. Notes: The model name comes from the Evangelion 2.0 Complete Works, it's not a real world model (there's the T-80U and others but I can't find a T-80UN) possibly the UN could be a reference to U.N. but I'm not sure. Notes: it's mentioned in the Complete Works of 2.0 but I've not located it yet, it's somewhere in the movie but I'll probably have to watch it all since I can't remember where it appeared. Later I'll start taking screenshoots. Most of the airplanes and helicopters seem to be fictional variants of the real thing, and there didn't seem to be that many of them back then, so I avoided putting them in. Yep, Kensuke correcly identifies the Su-33, although they must have to be retrofitted to use the catapults on the US carriers, since the Russians send them into the air on their own power, using a ski-jump. I sympathize with the poor nerd when they all get wrecked during the brawl with Gaghiel. The Sukhois in Rebuild appear to be a hybrid between the Su-33 and Su-34. Rather unusual. From what I recall, the Hawkeye only made a cameo appearance, right after the helicopter headed for the deck. I'm not sure I saw any of these around, but my memory might be playing tricks on me. There's a two-seater Yak-38U in reality. However, the Yak-38 Kai is fictitious, probably because whoever put it in (Anno? Sadamoto?) knew that the Yak-38 was a horribly lousy aircraft. Unlike the Harrier, they never really put the Yak to practical use and it went to waste. Frankly, Anno should have tried going with the Yak-41/141. That was a much cooler V/STOL aircraft. The Indian carrier in question uses the Harrier as well as the MiG-29K. Looks like I totally, totally missed the Albatros. Right again. This is used by the US Marine Corps. Maybe the Nerv personnel will get a dose of Gunnery Sergeant Hartmann, but who knows? The T-80UN doesn't exist. It's a fictitious model of the real T-80/T-80U. For what it's worth, they'd named the tanks shooting at Sachiel as Leopard 2A7 or 2A10 variants - upgrades that haven't come into existence yet. And there's some other tank that's named in the same scene. It certainly wouldn't do to leave this out. Japan's own MBT, and not a bad one at all. If you do, you'll notice quite a few peculiar mashup machines... including a six-engined An-225/An-72 chimera that actually has "An-225" written on its side. 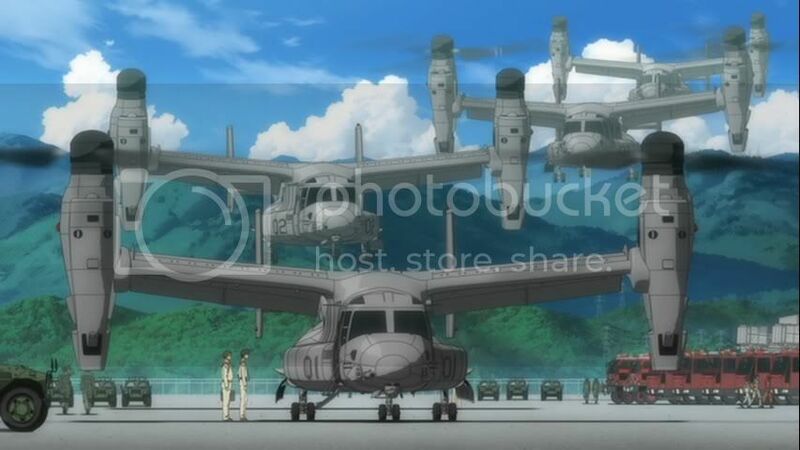 The osprey also appears in 2.22, it delivers ritsuko to unit 03 activation test, I also have a screen shot of this if you need it later..
UrsusArctos wrote: Most of the airplanes and helicopters seem to be fictional variants of the real thing, and there didn't seem to be that many of them back then, so I avoided putting them in. You're probably right but I thought that it could be worth trying. Yeah, the Su-27 and its many variations have always been my favourite aircraft, it's sad seeing it cut by a "giant cutter" like if it was made of butter. And yeah, I was wondering if they could have been modified since the Americans use catapults rather than skyjumps (the Su-33 must have really an impressive trust/weight ratio to do that without being V/STOL). Actually there's an Admiral Kuznetsov in the fleet, and unless it's been heavily refitted it'd require "regular Su-33". So I'm not the only one that noticed that, I was thinking that I was having some kind of dream. The shape seems that of the Prowler but I'm 100% positive. I wonder if it was Anno, in Re Cutie Honey Saeji (which is basically Kaji's alter-ego) uses an Harrier... anyway I agree it could have been nice to see the Yak-41, too bad. Does it make sense to use the Sea Harrier when you have purchased the Mig-29K XD? Speed, range, rate of climb, payload, everything is higher in the Mig-29K. Of course they'll probably keep using it for a while since they already have it. Thank you very much for these infos, I'm pretty clueless about tanks (and I couldn't figure out its "Evangelion" version since I don't have the 1.0 Complete Works). Yeah, basically it's everywhere, it's featured in various Gundam games as well (Ghiren Greed for example). Where does it appear? I can't remember. 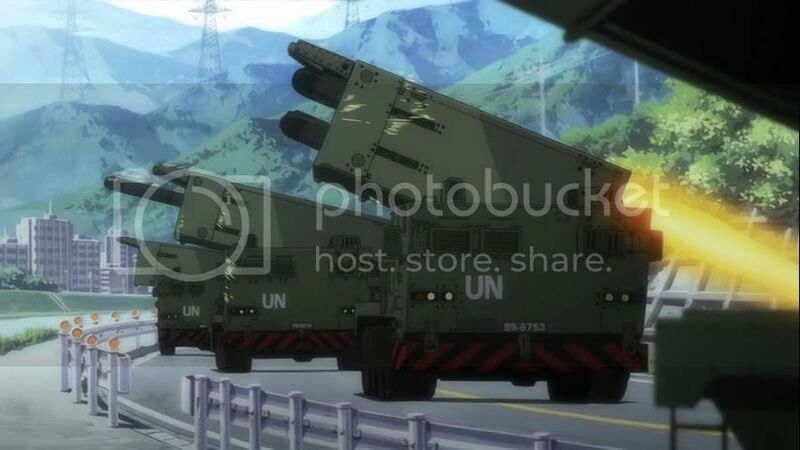 KnightmareX13 wrote: The osprey also appears in 2.22, it delivers ritsuko to unit 03 activation test, I also have a screen shot of this if you need it later.. 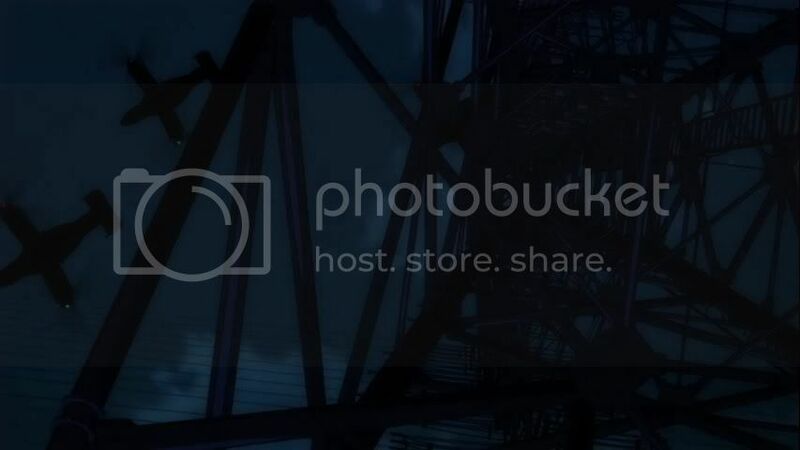 Thanks a lot, the approximative point in which it's featured is more than enough. 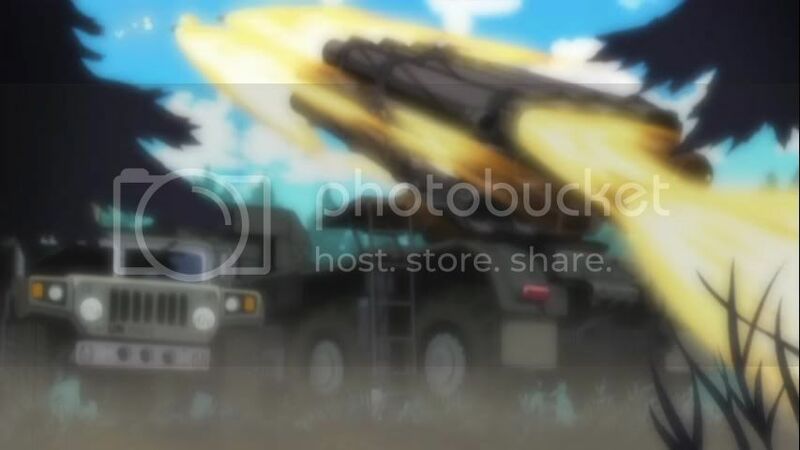 Hyper Shinchan wrote: And yeah, I was wondering if they could have been modified since the Americans use catapults rather than skyjumps (the Su-33 must have really an impressive trust/weight ratio to do that without being V/STOL). Maybe they turned it into a dual-use aircraft? Created a version that could be fired by catapult and go up by itself? It's not short of power, and I don't think the modifications needed would be major. As for India using Sea Harriers as well as MiG-29Ks, why put a useful weapon to waste while it still has shelf life? If you need any further information about planes and tanks, about what's real and what's not, feel free to ask me. That sounds good. An alternative would be "real world modified". That's actually a A-6 Intruder, you can tell because the cockpit can only seat two, not the four that the Prowler can. 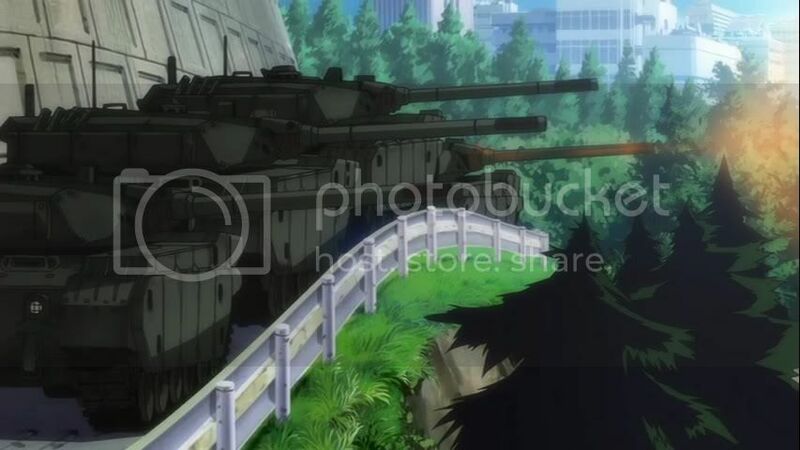 Also, in the first episode and Rebuild 1.00 you can see the Type 74 Nana-yon featured prominently being arrayed along Route 135. You can also see the M270 MRLS firing at Satchiel alongside what is either a BM-30 Smerch or a BM-27 Uragan, and a type of MRLS with a block cabin that I can't quite identify. Also, during the JSSDF assault they can be seen using several AMX-10 RC tank destroyers an a VTOL that honestly looks like it's using some kind of Star Wars style replusarlift system. As for the title: I vote that the article be labeled Conventional vehicles, with sub-sections for land, air, and sea vehicles, and specifications on each entry whether the type/variant is fiction or not. That should cover everything that comes up. We have a ships page already. UrsusArctos wrote: We have a ships page already. And yes....having the two Iowa class battleships kill Gaghiel was and still is hilarious. 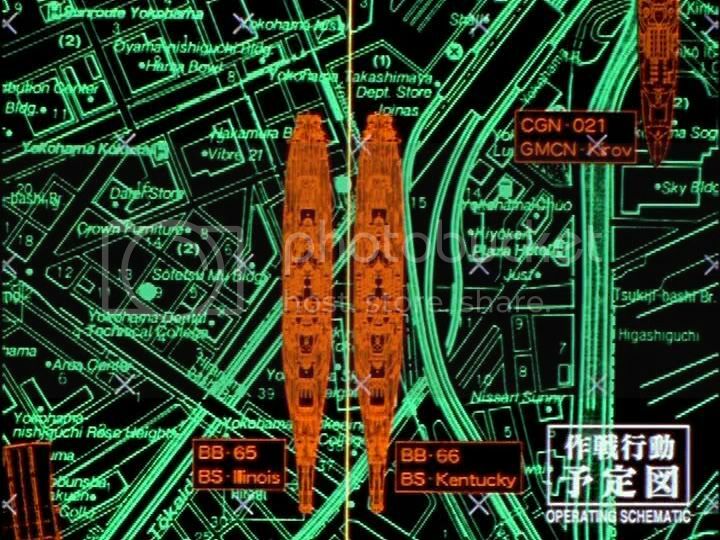 But since USS Kentucky and Illinois were never built in our timeline, it would suggest that history in the Evangelion world was already vastly different shortly after the end of WWII. Indeed, as Eva exists in an alternate universe/history. Well no duh. 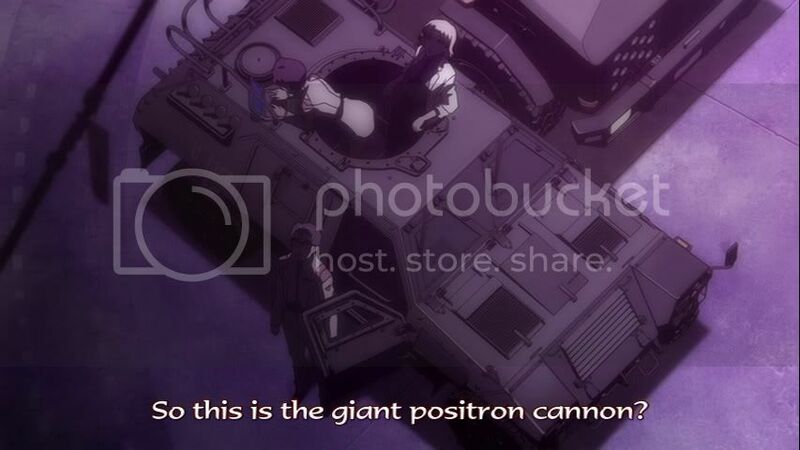 But im just saying that its interesting that the Eva creators have suggested that its different enough that it even affected what ships were built and commissioned in 1945 and 1946, a good 5 decades before Evas were even conceived. 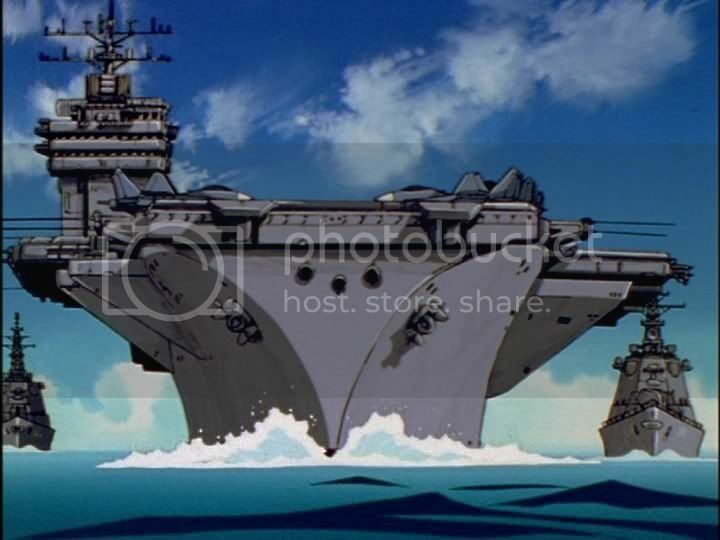 Guess those guys at Gainax have a bit of a Battleship fetish and actually wondered what it would be like for the US to have gone through with building those extra Iowa class battleships. Awesome stuff. P.S. And yes i am a bit of a Battleship fanatic myself. Recently i've been doing a bit of sleuthing with the source material and it would appear the Evageeks page is a bit inaccurate with its entry of the Arleigh Burke naval destroyer. 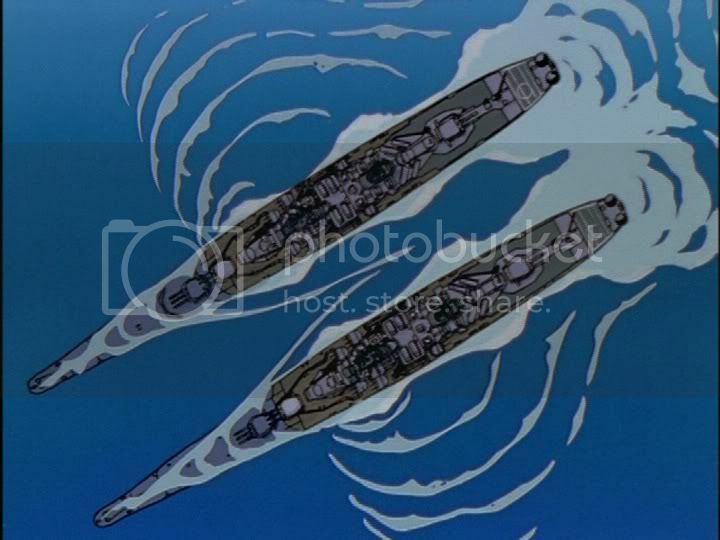 The destroyers featured in episode 8 of NGE are actually the Japanese variant of the Arleigh Burke US naval destroyer. Japan, America's closest ally in the pacific often shares military, air force and naval tech, and the Arleigh Burke is no exception. Japan's variant of the naval destroyer is called the Kongo Class destroyer. While similarities are apparent on the exterior features of the ship, there is one visible feature that sets the Kongo variant apart from its US counterpart. Kongo class destroyers have a bridge superstructure thats 2 stories higher than that of a US Arliegh Burke destroyer. Therefore the front profile of the Kongo class destroyer is much higher than that of a US built Arleigh Burke. 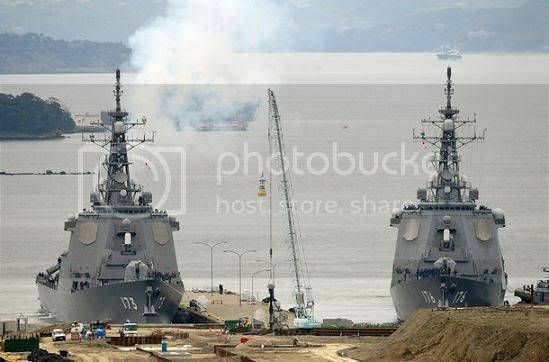 NGE-Kongo Class Destroyers in the background. Therefore in light of this new info, somebody here at Evageeks should change that wiki entry. 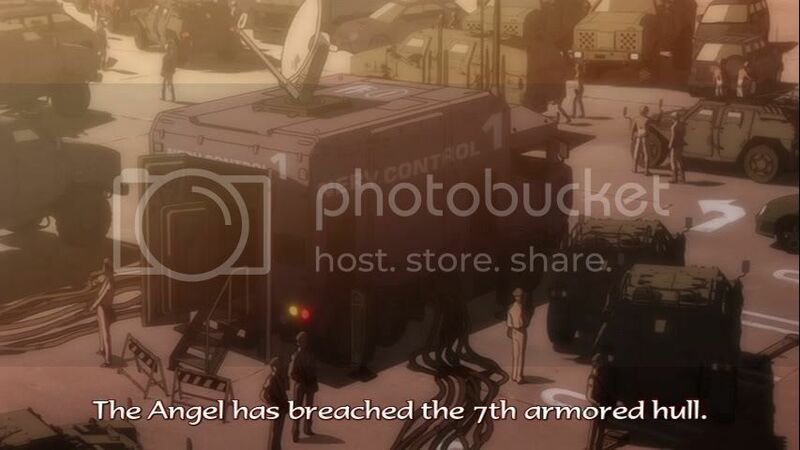 On a seperate note I noticed a few other things with while examining NGE's episode 8. 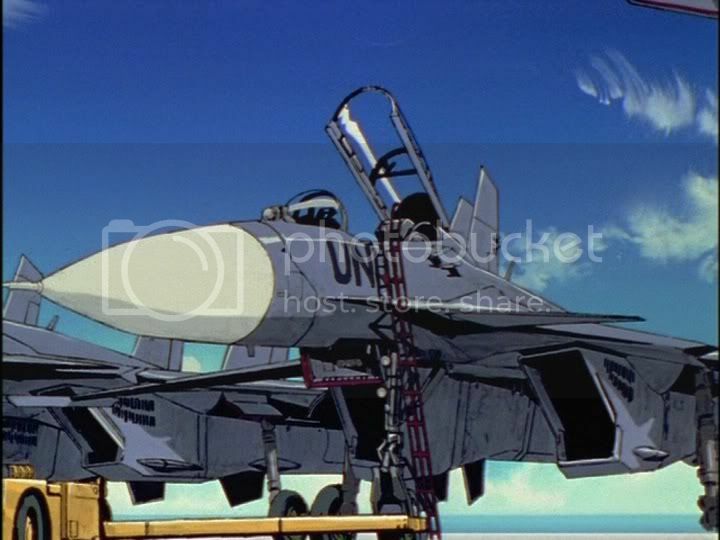 Seems that the Japanese creators/animators had a fetish with Sukhoi Russian fighters. And again the fighter appears on the deck of the aircraft carrier in the 3.0 Q preview. I wonder why the producers arent showing any love for any US jet fighers? No love for the F-15, F-18, F-35? lol. Most of the ships are US, most of the planes are Russian. I think it's an interesting juxtaposition that highlights the Pacific fleet's kitbash nature. A bit of an addendum to my previous post: the M270A1 and SMERCH don't make their appearances until 1.00. You can also see Lockheed P-3C Orions during the Ramiel fight sequence in the same movie. As for those Sukhois: they're Su-34 Fullbacks, I'd recognize their profile anywhere. 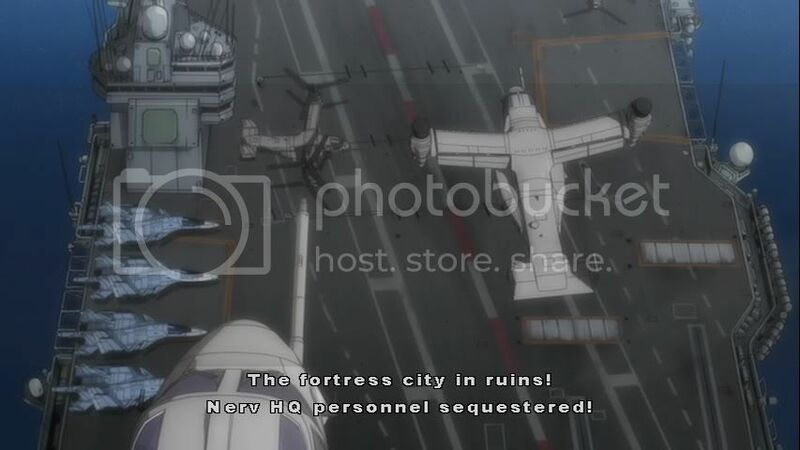 As well, it's worth noting that a multitude of Sikorsky CH-53E Super Stallions can be seen during the course of the series, mostly in the evacuation of Tokyo-3 during Episode 12. Cody MacArthur Fett wrote: A bit of an addendum to my previous post: the M270A1 and SMERCH don't make their appearances until 1.00. You can also see Lockheed P-3C Orions during the Ramiel fight sequence in the same movie. Thanks for clarifying these weapons and jets up. So those are Su-34s eh? Interesting. I also got screencaps of the other weapons and plane you mentioned. I’ve noticed a few military vehicles and missile platforms that need identification. To those that have the knowledge it would be helpful if you guys could help out here. I’ll just post these photos here and see what you guys think. Can you help me identify what vehicles appear in these shots below? Just to clarify, the Smerch's designation is the BM-30. Now, time for the images. Image 1: Type 90 Kyū-maru with reactive armor plates bolted on for some reason. Image 2: Unknown, likely a made-up MLRS. It was the only type of self-propelled artillery shown in the original series. Image 4: OK, I'm stumped. I don't think I've seen anything like that tank. Image 5: That's a Komatsu LAV. The design is very similar to the Otokar Cobra and the Véhicule Blindé Léger, but considering that the Komatsu is a Japanese design it is the most likely answer. Image 6: Most likely just a civilian vehicle that's been converted into a command vehicle. I know squat about civilian vehicles though. I do notice that it has braces installed on it though, I guess they learned from the last time around, eh? Cody MacArthur Fett wrote: Just to clarify, the Smerch's designation is the BM-30. Now, time for the images. Wow thanks for clarifying all that once again. LOL they actually commissioned and launched a pirate ship on Lake Ashi? Ha! 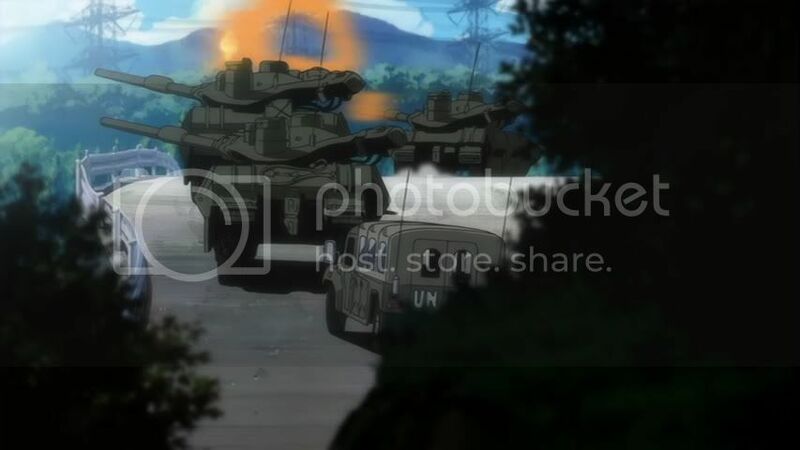 Hmm surprised that you managed to identify both the Type 90 and the Komatsu LAV. That LAV stumped me for quite sometime. 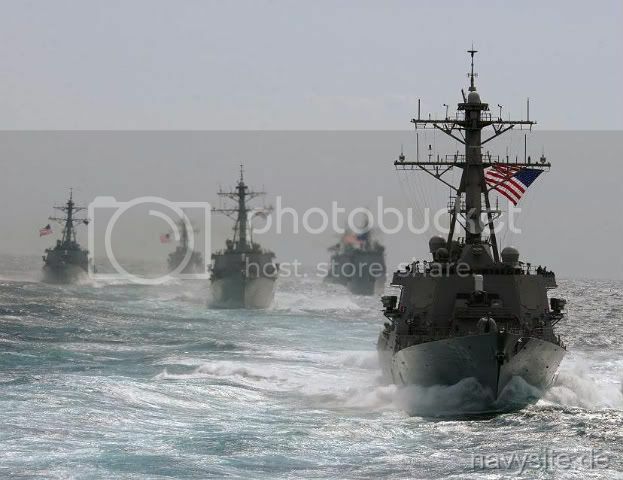 Understandable you werent really able to identify the naval destroyer in Image 3. I can't either despite my interest in naval ships. 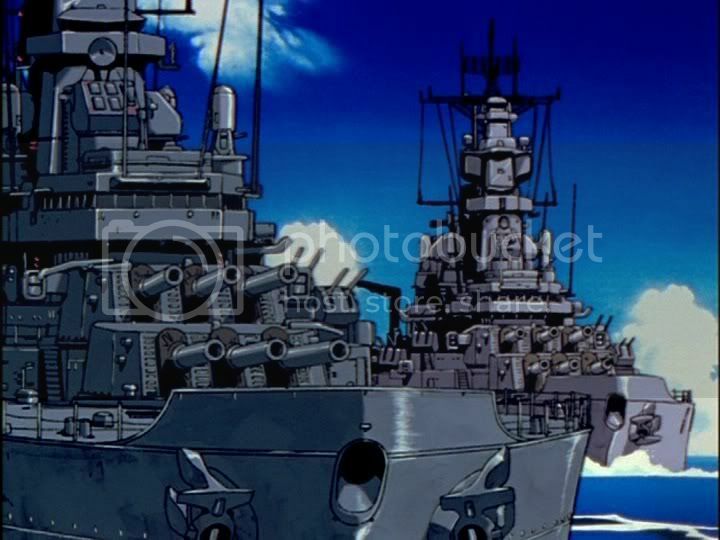 Speaking of which i do admire those guys at Gainax who were responsible for including the Iowa class battleships in NGE ep 8. Very nice details and they even ever went so far as doing the research to have them named USS Illinois and Kentucky. Awesome! 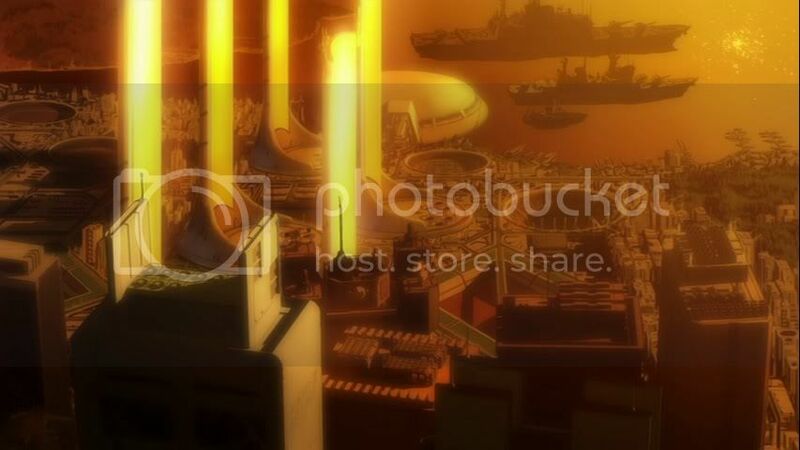 They put in some great art for the Iowa Class battleships in episode 8. 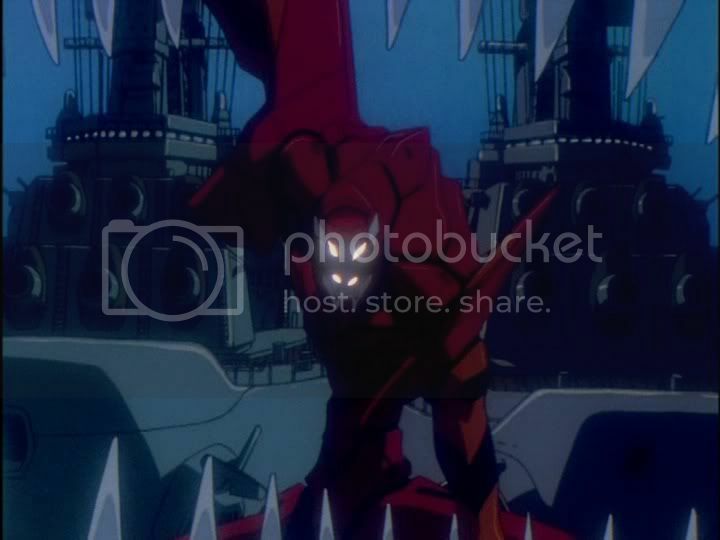 Everything from the 16 naval guns, to bridge deck, radar sensors and the phalanx anti-air defense systems can be seen in the shots taken below from episode 8 of NGE. Its pretty cool how the Khara staff replaced all the scenes that would have featured the Super Stallion with the V-22. And yes to some it is a bit of a shocker to see them in Eva 1.0 too. It took me a while to spot those three flying over because of that really dark scene and the fact that they are partially obscured by the odd camera angle under the hydro electric tower. Meanwhile in Eva 2.0, i just can't seem to fathom why they need that many Ospreys in the air at one time? 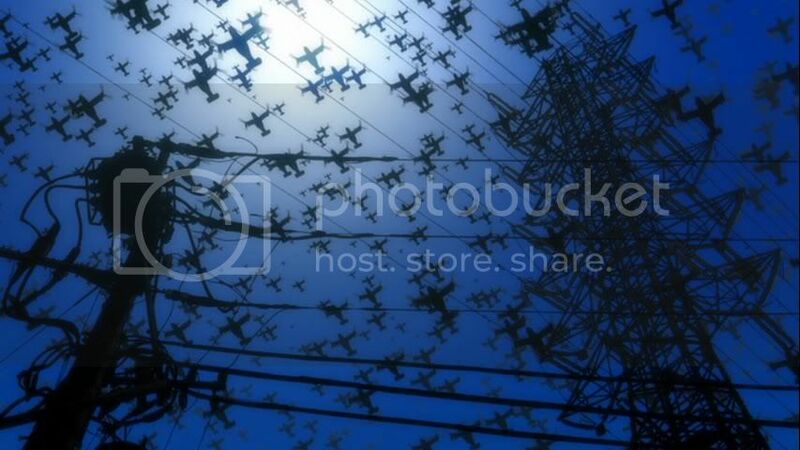 I mean they look more like a swarm of mosquitos than aircraft. lol. Fun fact: apparently, if a MV-22 is left idling for more then ten minutes on an aircraft carrier the deck platings will bend and buckle from the heat generated by the craft. I can only imagine the heat that would be generated by that unruly mob of Osprays in 2.00, but it can't be very good. 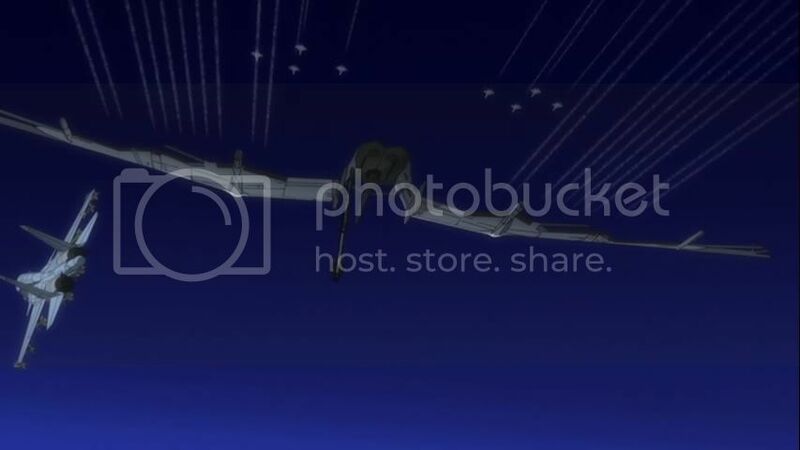 Also, before I forget again: the vehicle used by Misato, Ritsuko, and Maya to travel across the LCL lake produced by Satchiel in 1.00 is called an ekranoplan. 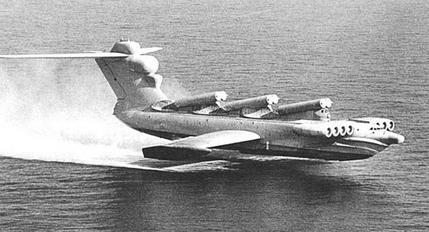 I originally thought it was a civilian version of a Lun-class ekranoplan, but considering that the only one of that class made was MD-160 I have to wonder. Here's a picture of MD-160 in her prime, and here's a link to some pictures of what it looks like now. It's so sad.